Status as of 1/30/2011: Entire location is out of service. Neither charger appears to have power. Enter the campus at Toro Center Rd. From either Victoria Ave (north side of campus) or University Dr (south side of campus). 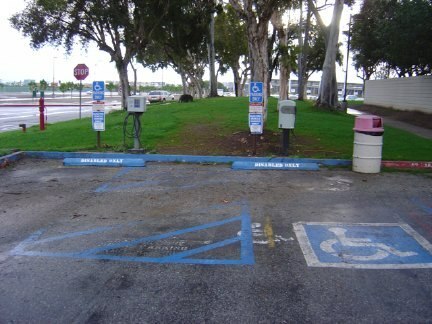 Chargers are located near the "jog" in Toro Center Rd. Generated on Sunday, 1/30/2011, at 10:49:21 PM PT from evcnall.fp7.